Because of the manageable number of differentially expressed genes, we crosschecked their expression to already existing microarray data (see additional file 1). 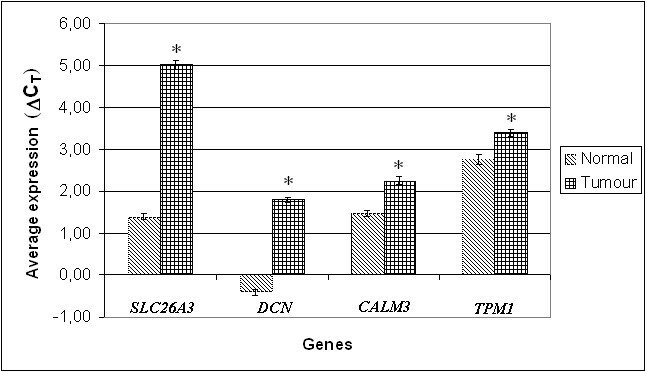 Eleven out of 30 genes (SLC26A3, CASP9, VIM, LGALS4, SRI, UGP2, LGALS3, TPM1, TUBB, MAP2K7 and CRABP2) showed good concordance with multiple microarray expression studies. Ten out of 30 genes (ITGB4, CALM3, EEF1A1, HOX4A, PCDH1, KRT19, GATA2, TGFBI, RBL2, and TNA) showed variable expression between different studies. 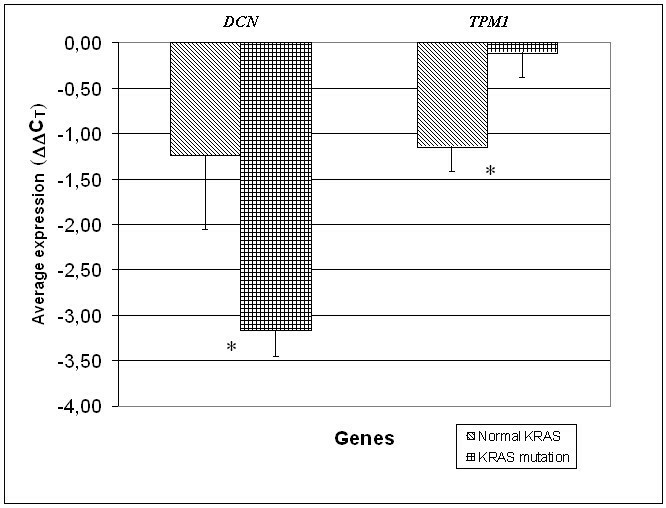 Interestingly, 3 genes (AD022, CORT, and CARD10) were not included in any of these studies and 4 genes (DCN, NPC1, RAI1, TTYH1) were characterised in only 1 study. 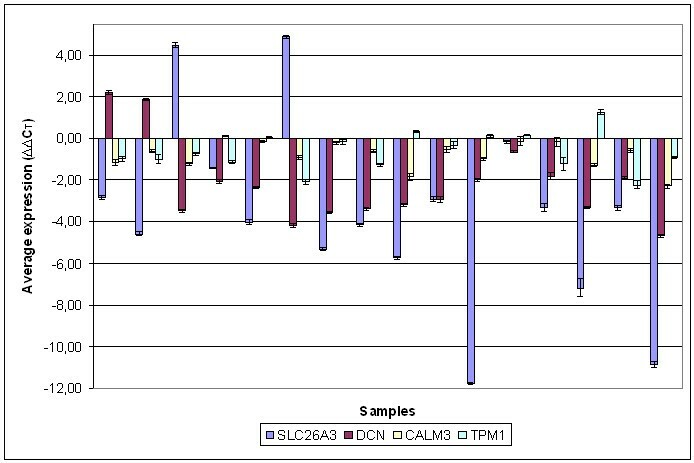 Only CDH12 and PMP22 showed a difference between multiple expression studies and our results. In order to enable other users comprehensively to interpret and evaluate our results, original tables of complete microarray results are available in the supplementary data (see the GEO website at http://www.ncbi.nlm.nih.gov/projects/geo/ Series entry: GSE14010).